Installation and configuration of the Project Insight Office Connector must be performed and supported by Windows application professionals and Project Insight Administrators within your organization. If you do not have desktop tools for Project Insight on your PC, you will need to request the use and authorization of these tools from your Project Insight administrator. Once installed, Office Connector may be configured to connect to your Project Insight server using the Project Insight Settings window accessed from within the Office. The Connection Settings are identical to the Connection Settings in the Outlook Connector, so you will not need to make any changes to these settings if you have already configured your connection in the Outlook Connector. 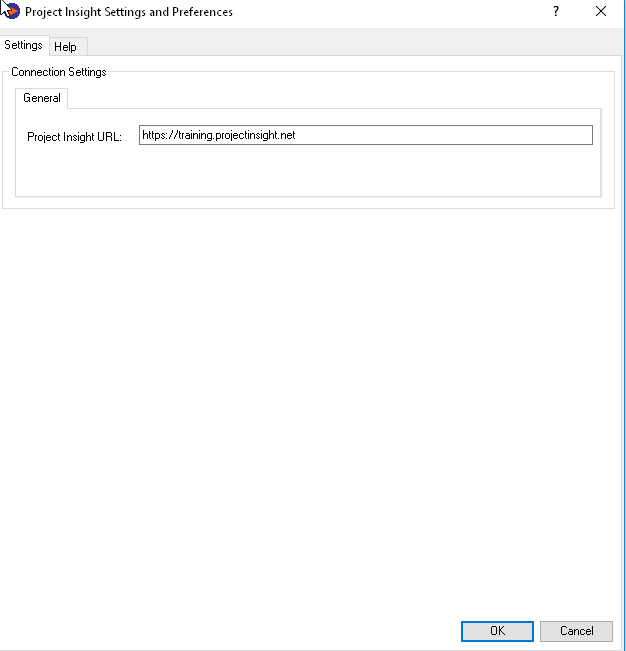 Use Integrated Windows Authentication is only used when the computer with the installation is set so that it authenticates to Project Insight without prompting for a user name and password. If you need to login with a username and password when using your web browser, even if that username and password is using your Windows credentials, then this box should NOT be checked. Office Connector will save files directly from specific Microsoft Office 2007/2010 Professional applications (Word, Excel and Power Point) into the designated Project Insight location. Navigating a path to a Project Insight location within which to save the file is done through an interface similar to the following. Saving directly to Project Insight may involve placing the file in a folder, or attaching the file to other items such as discussion threads, tasks or to-dos. Choosing to save the file as a replacement (it will have the exact name as an item that already exists in the current location), or navigate into an item to save the file as an attachment, requires that the you double-click the current item. Upon double-clicking an item that may either be replaced by the file being saved, or may have the file saved as an attachment to it, you will be prompted with options for your next action. 1. 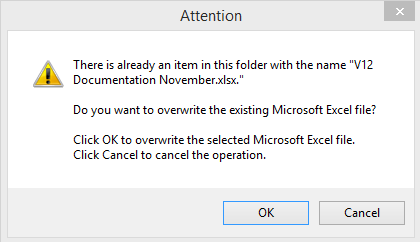 Overwrite the existing file. 2. Navigate into the existing item to save the file as an attachment to the item. 3. 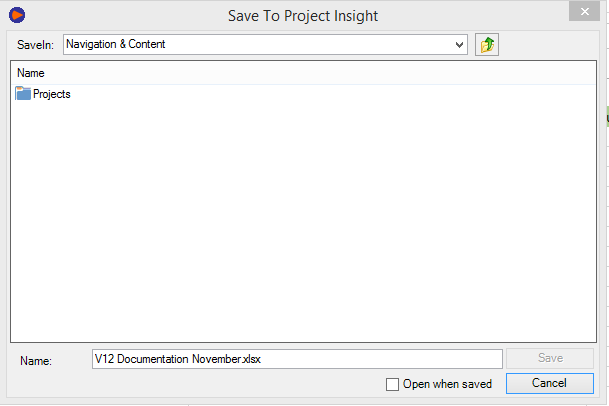 Cancel the save action and return to the Project Insight item navigation.